Update at 5 p.m. Saturday, March 17: CPD reports that Isaiah has been found safe and has been reunited with his family. Thanks to everyone who kept eyes and ears open for him! 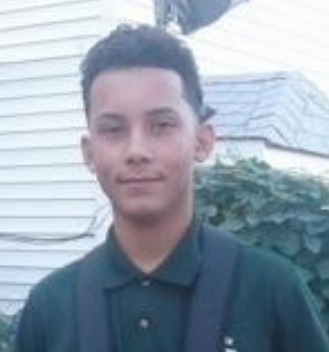 finding a 14-year-old boy missing from the Hermosa neighborhood, who may be here on the Southwest Side. Isaiah Rodriguez has been missing from his home in the 2000 block of North Keystone since about 5:45 p.m. Thursday, March 15. His cellphone was tracked to 65th and Cicero and is now turned off. Isaiah is 5-foot-1 and 135 pounds, with brown eyes, black hair and a medium complexion. He was last seen wearing a green polo shirt, khaki pants and a black coat. If you see him, please call 911 immediately. Others with useful information to share are asked to call CPD Area North Special Victims Unit at (312) 744-8266 and refer to case number JB187159. There are people living in the old Mexican Restaurant next door to the closed Ammco Transmission building at 65th and Cicero (Chicago side).. I watched a young man enter the old restaurant early one morning last week.